This year may begin with a class that is hard or a bully that’s giving you a hard time. If you look at your math homework and say, “I can’t do this on my own,” then don’t. Or, maybe you’re not quite sure how you should deal with the person picking on you. Ask for help. Talk to your teacher. Find a tutor. Enlist a classmate. This year will be that much smoother if you know when you can’t do it on your own and are willing to admit it. “Kiki, do you love me? Are you riding? Our homeboy Aubrey is sharing his feelings for Kiki. What he wants to know is - does Kiki love him back? Kiki may say, “Nope! You sing too much for me, Drake. I’m more of a Chance The Rapper fan.” At that point, Drake may feel heartbroken, angry, alone, depressed or worse. What Drake does well in his career and in this song isto talkabout his emotions. I have a feeling you may experience those feelings this year. Do me and Drake a solid and promise us you’ll talk to someone if these feelings start to overwhelm you. Elevate - the title alone says it all. Make sure you elevate this school year. Elevate yourself to new heights. Elevate the people around you. Elevate your standards and don’t settle for less. 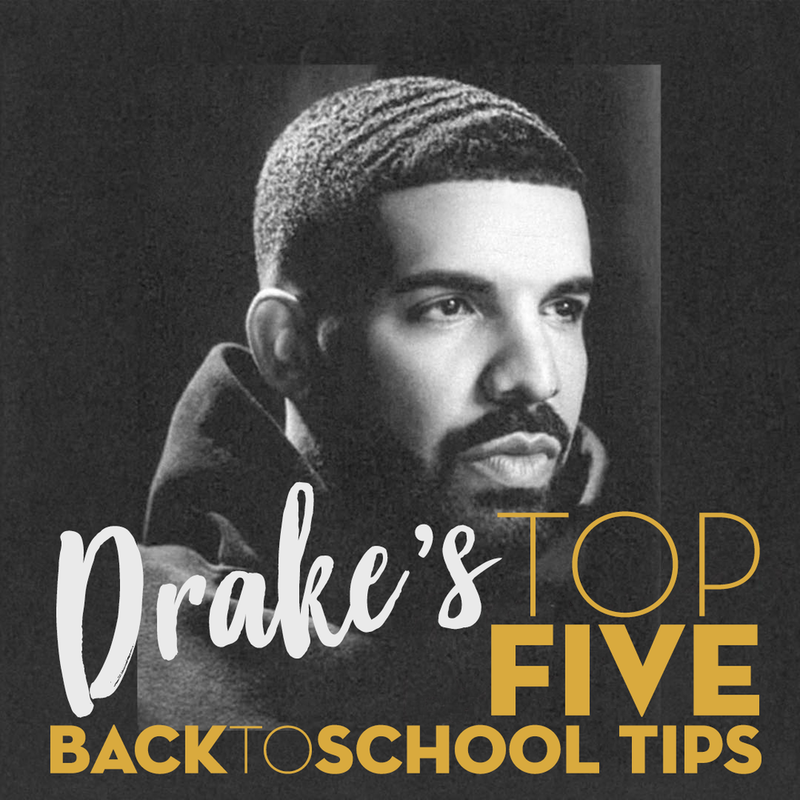 Drake is a social media genius and he has some great advice for us here. What’s online doesn’t always reflect what’s real. We log on and we see friends at parties, we see perfect outfits and we see filtered selfies galore. What we don’t see is how things really look for the person behind the profile. When we look in the mirror we see ourselves as we truly are - no filters. Most people don’t show who they truly are, they portray a version of themselves on social media that will get them follows and likes. That constant comparison game may become a distraction. Know when to log off this year and stay focused on school and the relationships that matter. Drake is speaking directly to The Crazy Ones in this line. He knows that you have to be crazy enough to believe you can change your school and that, my friends, is just what we need to change our world. “The people who are crazy enough to think they can change the world are the ones who do.” If you aren’t familiar with this idea, click here. My calling is to recruit Crazy Ones all over the nation who want to make a difference in the world. This school year will provide trillions of reasons to go crazy. Will you be crazy enough to try out for the basketball team? Will you be crazy enough to run for class president? Will you be crazy enough to fundraise for your favorite charity? If you’re going to make this school year a memorable one, then you have to be crazy enough to believe you can change your school. And that, my friends, is just what we need to change our world.